TheBlueGuerilla: Mystery candidate set to swoop Sarah-Jane Sewell. Mystery candidate set to swoop Sarah-Jane Sewell. tbg has learned that apparently a mysterious candidate is set to launch a bid to challenge the current Tory Youth National Deputy Chairman (Membership), Sarah-Jane Sewell, for her position in the upcoming Conservative Future elections in March. tbg can reveal there are whispers the female candidate is from the South and has recently gained some backing within the Conservative Youth movement. SJS is a nice person, but hasn't lived up to the promise she had when I voted for her first time around, time to let someone else have a go! Hearing rumours it's Jasmine Rahman. So who is this mystery candidate TBG? Tell us more! Poll boost for Cameron at UKIP's expense. Love breaks out in Tory Youth election race. Peter Smallwood launches NUS President manifesto. Twitter Teddy wants to be Tory Youth Leader. Tory Youth first election hustings announced. Returning to the Common Market. Holmes under attack in new viral ad campaign. Holmes publishes clean campaign record. Conservative Future blogs opt-in to be gagged. New CF blogs on the scene. Cameron postpones EU speech due tomorrow. Attack ads continue to hamper Cooper campaign. Vote Callum Crozier for North East CF Chairman. 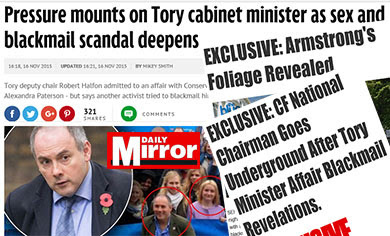 Robinson accused of 'establishment stitch-up'. UKIP speculate over Cooper defection. Argyle advised to dump Holmes. 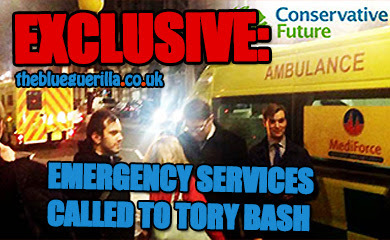 UCL Tories announce date for posh Ceilidh Ball. Holloway backs Matt Robinson for CF Leader. Home Sec' says insult law will be repealed. Robinson to announce pledge & principles tonight. Cameron EU Speech poised to include referendum. Philip Smith returns, as The Pope. Red Ed's war on strategy. 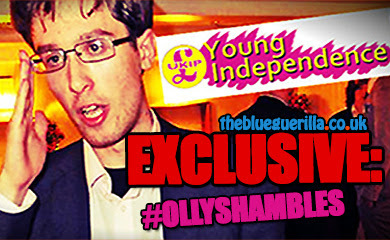 Tory Youth members fear #OllyShambles sequel. Yes, still cleaning up Labour's mess. Howlett announces CF election to be held online. 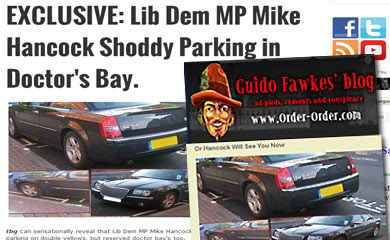 Guido reveals Operation Yewtree arrests. R-Grassroots: Falklands response to No.10. Ben Howlett National Chairman goodbye tour. EXCLUSIVE: The Dom launches into CF race. Callum Crozier launches North-East CF Manifesto. Unemployed because he refuses get up at 8am.